Hamid and Homa, an infertile couple, decide to have a baby in the womb of another woman to raise their fetus. Rizwan a woman who lives a hardship life, due to economic problems and illness of her husband, accepts to do it. After several months of keeping this a secret, Homa gets killed in a car accident and Hamid suffers amnesia and does not remember anything. Rizwan who is not aware of this, thinks she is left on her own, with her pregnancy and pressure from fanatical behavior and suspicious of her brother Jamal. Hamid gains his memory back but doesn’t want to have the child without his wife. Rizwan has to make a decision between her faith and keeping the fetus. 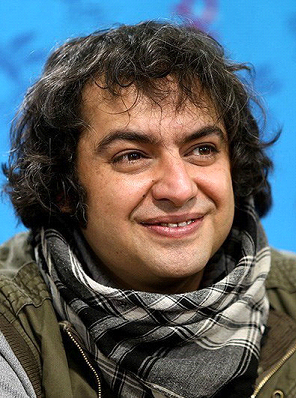 Saman Salour born in Boroojerd in 1976. Cinema direction BA from Sooreh University in 2000. Writer, assistant director, and programmer in some features and TV series. Making of 17 short and documentary films in various durations and camera operator in more than 25 short and middle length films. Holding group and individual photography exhibitions since 1993. Participation in various domestic and international festivals and cultural centers and receiving numerous awards. Making of features: Residents of the Land of Silence (2003), A Few Kilos of Dates for the Funeral (2005), Lonely Tune of Tehran (2007), 1359 (2010), Sunshine Statin (2013), Raspberry (2015). Awards for feature films: The International Federation of Film Critics (FIPRESCI) in Kiev, International Film Festival for Residents of the Land of Silence, Audience Award in Slovenia International Film Festival for Residents of the Land of Silence, Jury Award in Sofia, Bulgaria International Film Festival for Residents of the Land of Silence, Golden Leopard in Contemporary Filmmakers Section of Locarno International Film Festival for A Few Kilos of Dates for the Funeral, Grand Audience Award in Nantes for A Few Kilos of Dates for the Funeral, Golden Balloon, Three Continents Film Festival, Nantes for A Few Kilos of Dates for the Funeral, Best Direction and Best Film by Iranian cinema writers and critics for A Few Kilos of Dates for the Funeral, Third Eye Award from Bombay, India International Film Festival for A Few Kilos of Dates for the Funeral Best Film, Best Original Screenplay, Best Music, Awards from Auburn International Film Festival, France for A Few Kilos of Dates for the Funeral, Participation in Directors’ Fortnight Section of the 60th Cannes Film Festival with Loneliness Tune of Tehran, Jury’s Award and Best Actor Award from Funchal Film Festival, Portugal for Loneliness Tune of Tehran, Silver Seahorse Award from Batumi Film Festival, Georgia for Loneliness Tune of Tehran, Best Asian Film Nominee from Munich International Film Festival for Loneliness Tune of Tehran.